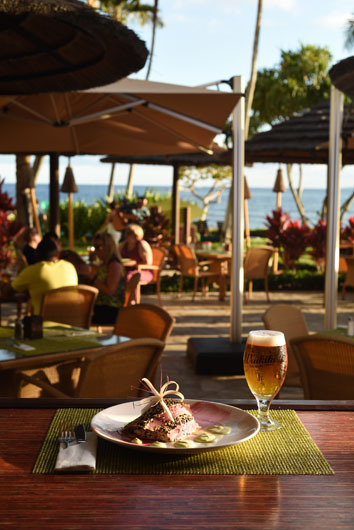 Located at Marriott’s Maui Ocean Club, our new restaurant, Ka’anapali Grill and Tap Room, offers ocean front dining on one of the most beautiful stretches of Ka’anapali Beach. 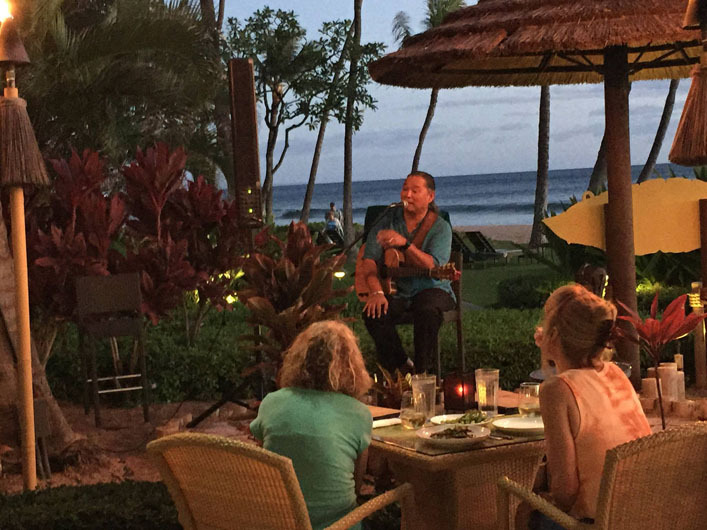 There is not a better location to catch an amazing Maui Sunset. Our menu includes the best of casual and fine dining. Classic dishes and exciting fusion cuisine featuring gourmet pizza, steaks and mouthwatering daily specials will give you the reason you need to come back every day. The best breakfast on the beach will kick start your morning, then hit the beach and work up an appetite for lunch or dinner. 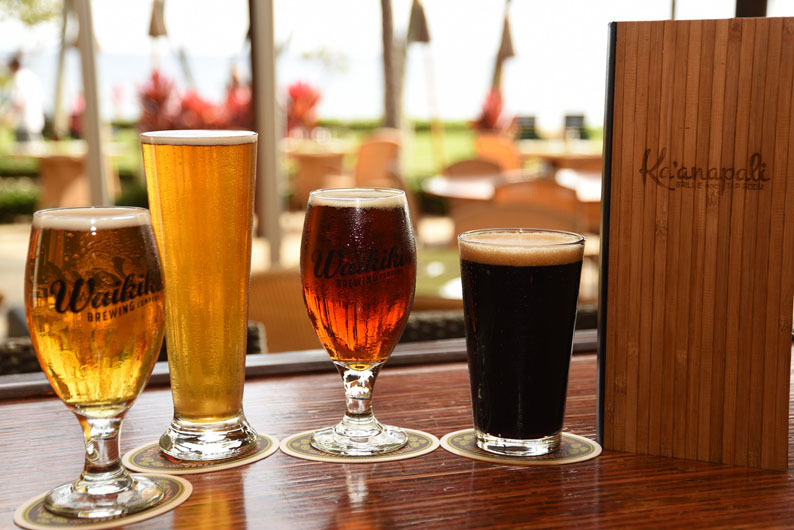 We feature exclusive beers from our very own Waikiki Brewing Company, an extensive selection of fine craft beer, as well as mixologist crafted cocktails, the bar at K-Grille is the place to be for sports fans and people watchers. 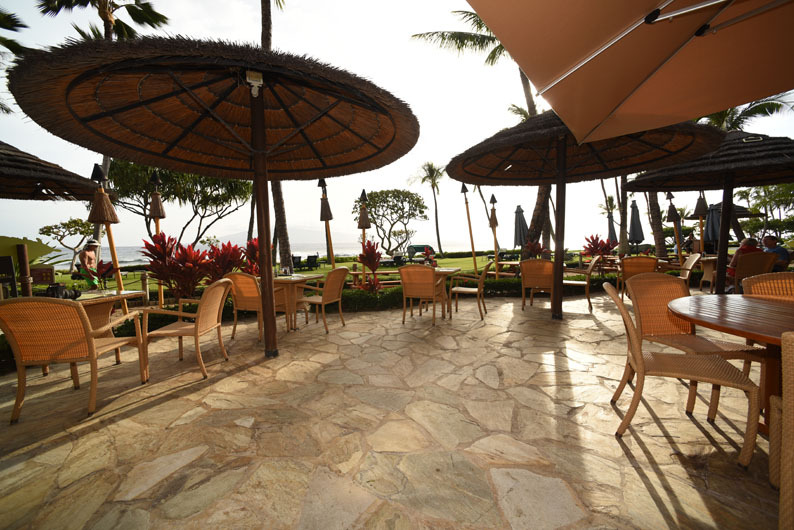 Soak up the sun on our patio dining area, or beat the heat under cover—just don’t miss out on this jewel of Ka’anapali Beach. We offer the NFL Sunday Ticket Package here so you won’t miss a play. Dine on our great good and enjoy our cocktails and craft beers while you cheer on your favorite team. 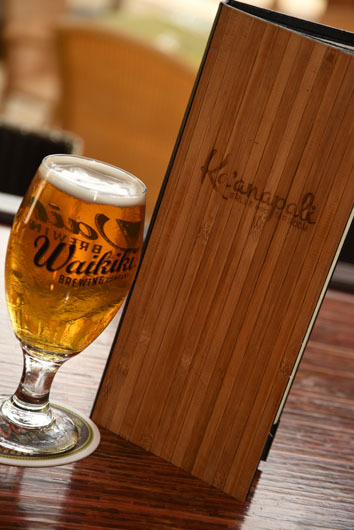 Thank you all for sharing your Ka’anapali Grille & Tap Room experience and see you again soon. Aloha! French dip … still craving it … gotta have it! 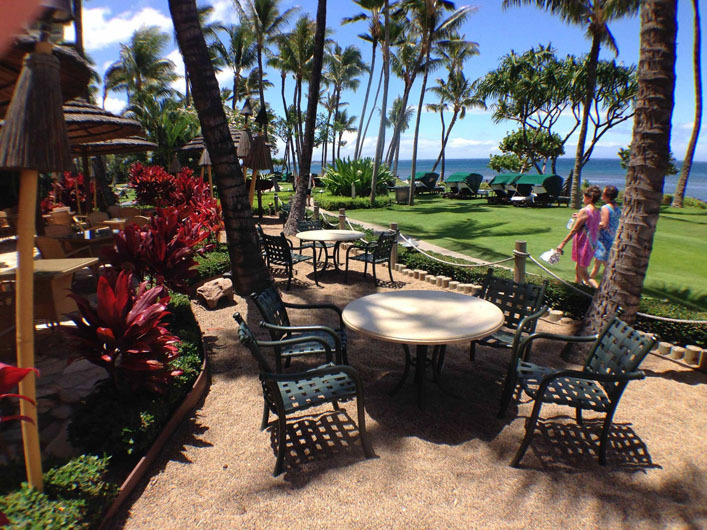 This restaurant is located at the Marriott facing the beach. My husband and I stop for an early dinner. I am SHOCKED at some of the review as we had an AWESOME meal! We had the edamames for an appetizer and they were amazing. There was a slight twist in the preparation as there was a “glaze” over them that gave a hint of of sea salt within the teriyaki and sesame seeds. My husband had the nachos and he said they were excellent. All ingredients were fresh and flavorful. I had the prime rib French dip sandwich (YES prime rib). I cannot even begin to explain the flavors that were in this meal. The prime rib was cut thin and was nothing short of perfection. The bun was slightly seasoned and toasted. This combination sent my taste buds into overdrive. I can say it was the best dipped sandwich I have ever eaten. Additionally, I cannot believe people were not impressed with the beer. It is locally brewed and was outstanding. I HIGHLY recommend this establishment. Delicious. I had the “special of the house”… ribs and fish. The ribs were sweet/tangy and the fish was perfect. We’ve been bouncing around different bars off the beach strip and out of three places, this was definitely the best! Their burger was great and oh man, the drinks were my favorite. Get the Frozen Lava Mojito! Trudy & Ted were super nice (as compared to the ones at Umalu). Seems like a lot of customers keep coming back to this bar on their vacation stay. Worth walking down several minutes instead of the one right outside our hotel. 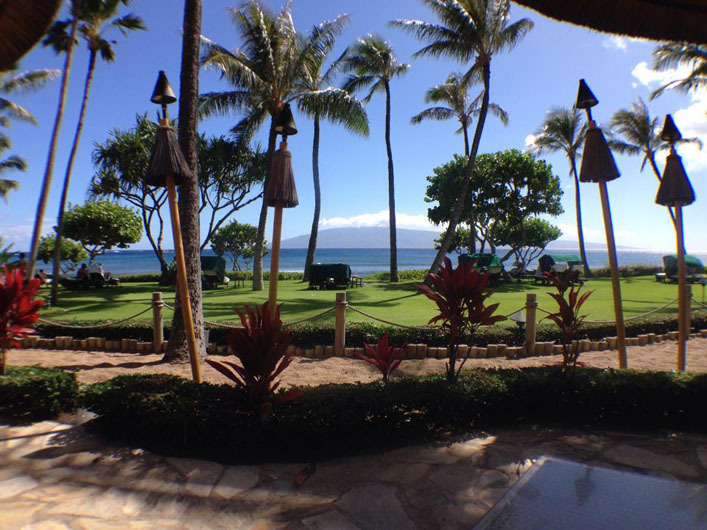 Great happy hour and on the beach. We caught the happy hour a $4 beer and personal pepperoni pizza for $8 and it tastes great. Tasted like it was wood fired, great views as this restaurant is right on the beach on the boardwalk to all the hotels. Delicious meal by the ocean. Went here for breakfast. Service was great, food was delicious, and the view was breathtaking. 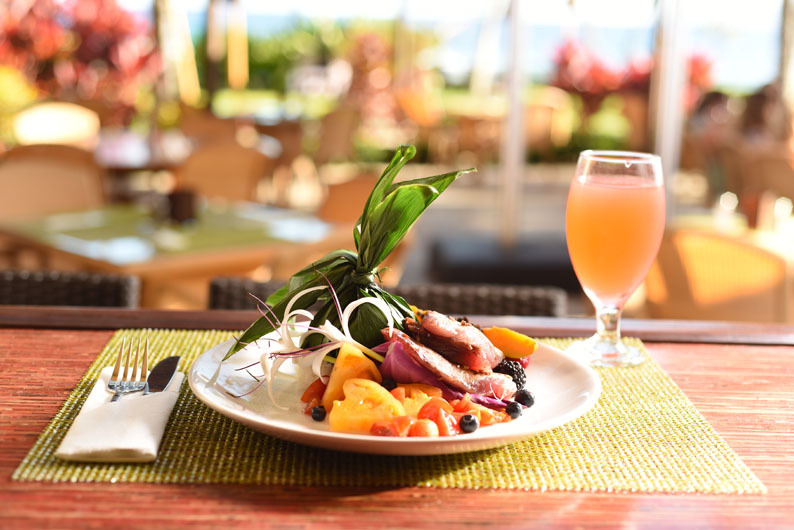 I ordered with the help of our server a ‘build your own omelet’ with a few sirachi peppers, Portuguese sausage, Swiss cheese, a medley of Hawaiian sweet peppers, POG juice (pineapple, orange and guava) which is delicious and Hawaiian sweet read for toast! Yummy and filling! For a restaurant in this area this was the best! Awesome service, food came out quickly, they offered huge portions (to be eaten later), food was excellent, and prices were on par with what we received!!! 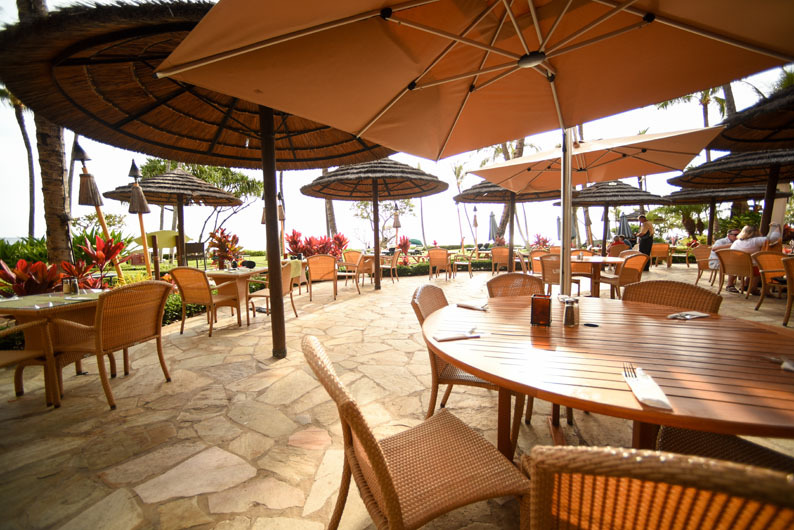 Good food and great location for a bite to eat and walk along the Ka’anapali beachfront. The fish tacos were excellent and they offer good prices for happy hour appetizers and drinks. We were there in February and could watch the whales breaching in the distance. Nice place to enjoy a meal and sunset. It does get very crowded in the evening but the food and location make it worth the wait. I would go back.